In the late 1960s, a landmark of Tucson’s Latino culture fell to the wrecking ball, along with barrio homes along Court Street. 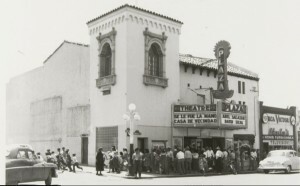 The Cine Plaza Theater was where Spanish speaking people came to meet friends and loved ones, enjoy a movie, or see a live show by one of the stars of the Mexican cinema. It was the home as well to a popular local amateur hour that launched careers of numerous Tucson entertainers. SEE BLOG FOR UPDATES: And keep up with Cine Plaza at the Fox on Facebook. 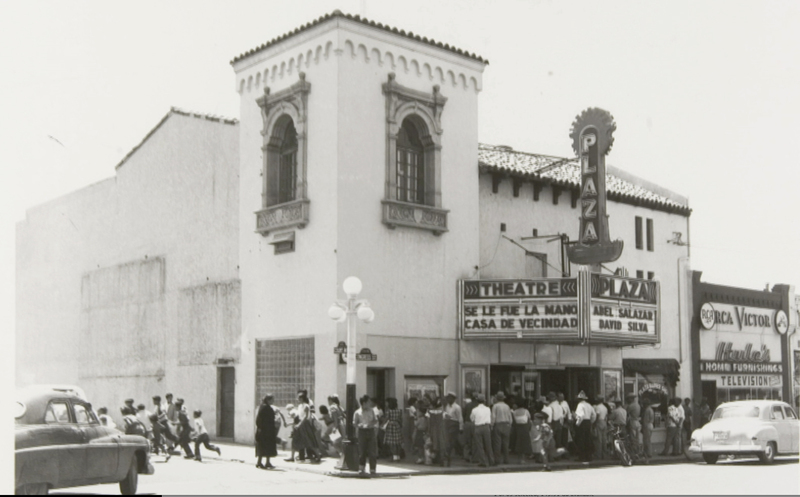 The Cine Plaza was the gathering place for many of Mexican descent who lived in the nearby barrios. They may not have felt welcomed in the Anglo theaters downtown, either because of discrimination of the day or economic status. The Cine Plaza was their place until urban renewal reduced it to rubble, along with the last surviving vestiges of the Spanish presidio fort that cropped up here and there around downtown until the mid-1960s. 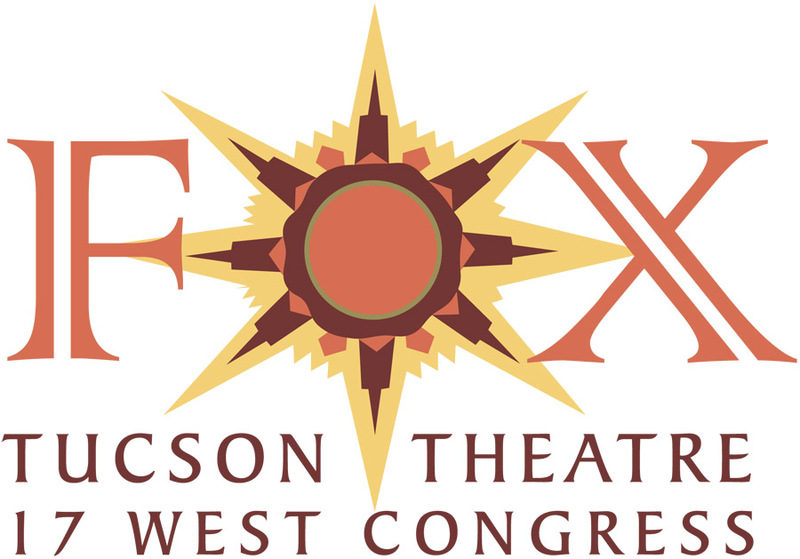 In 2009, local Mexican American community leaders, journalist/documentary maker Daniel Buckley and representatives of the Fox Theatre came together to discuss a few afternoon shows celebrating the Cine Plaza. The shows would feature live entertainment and classic films from the heyday of Latino cinema, particularly films from Mexico and South America. The plan was to create a narration for the show talking about the Cine Plaza and what downtown was like in those days. Early in the discussion it was noted that there were still plenty of folks around town with fond memories of the Cine Plaza. It was decided to interview them on video and give the raw footage to the Arizona Historical Society for historical research. 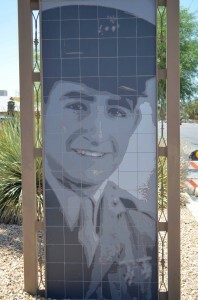 Local historian Ralph Gonzalez and documentary maker Daniel Buckley interviewed numerous sources over the succeeding months, along the way realizing that there was material for several documentaries. With the interviews and historic photos collected with the help of Julie Gallego and historical society librarian Kate Reeve, Buckley edited the first three chapters of the Cine Plaza story. The first was on the theater itself and downtown in the day. The second focused on nearby Barrio Anita, while the third centered around “Urban Renewal” and attempts to stop the destruction of downtown landmarks. The documentaries were well received, both at their Fox Theater premieres in April, 2010, and at the Mountain Empire Film Festival in Patagonia, Arizona in June, 2010, where they were voted Audience Favorite. In 2011, again with the invaluable help of Ralph Gonzalez, Buckley created a new installment to the Cine Plaza at the Fox series – this time on Tucson’s Barrio Hollywood. Located west of Interstate 10 between Speedway and St. Mary’s, Barrio Hollywood is a neighborhood of special pride and unique character. Few if any neighborhoods in Tucson have so many homes still in the hands of the families that built them. Unlike many Tucson Unified School District schools which us kids in from all over, Barrio Hollywood’s Manzo Elementary School is truly a neighborhood school that has served generations of Barrio Hollywood residents. Likewise St. Margaret’s Church has been a cultural and spiritual meeting place for Barrio Hollywood residents for generations. In 2012, the fifth installation of the Cine Plaza series and the first full-length documentary premiered “Tucson’s Heart and Soul: El Casino Ballroom. 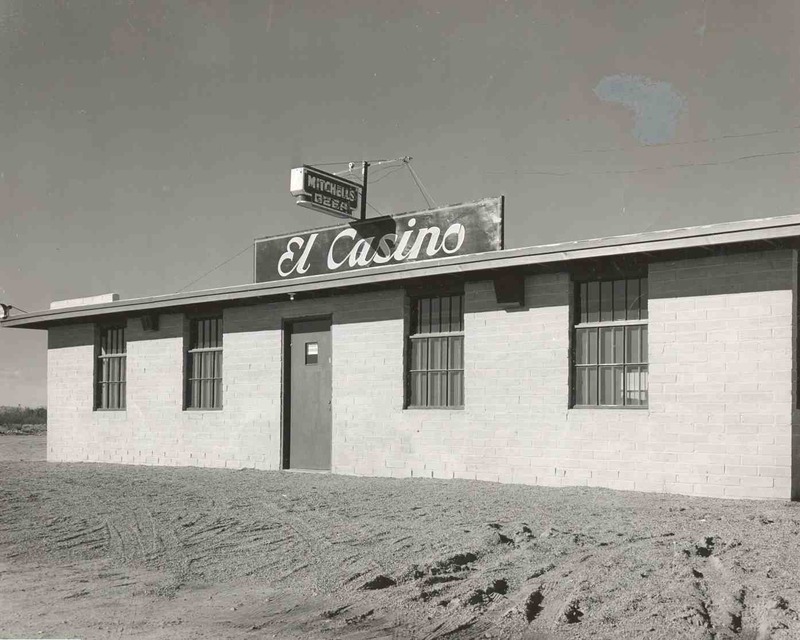 ” Dubbed the unofficial community center of Tucson, the stage of El Casino Ballroom has seen everyone from stars of Mexican cinema and Latin music culture to pioneers of rock and soul, roots musicians of every stripe and much more. In the 1980s it was the home of community radio station KXCI’s House Rocking Music series. 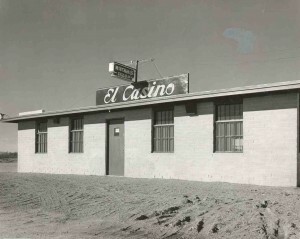 Throughout its history El Casino Ballroom has been the hall of choice for Tucson’s Mexican American population – a place where endless streams of weddings, quinceañeras, anniversaries and family parties have been held, along with political rallies for both parties and fundraisers for a vast array of non-profits. It is Tucson’s heart and soul – the last of the great Latin ballrooms that had their heyday in the years after WW II. In the 1990s, half of the roof of El Casino Ballroom blew off. It took the whole community coming together to get half of the hall back in operation early in the 21st century. Now a similar community effort is being mounted to restore the hall to its former 1,200-person capacity glory. It is a place with so many stories. So many young people learned to dance there. So many had the time of their lives there. Told through the eyes of those who lived it, the film captures the stories of a place where a community has been united and memories made for 65 years..
As 2013 begins, the sixth documentary in the Cine Plaza at the Fox series started production – a film about the rise of the mariachi movement in Tucson, titled The Mariachi Miracle. More than just a musical genre, mariachis and their dance cousins in folklórico dance attained the status of a true cultural force, transforming both the perception of Mexican Americans in Tucson and around the United States, and serving as a catalyst in educational, politics, social justice and more in the community. 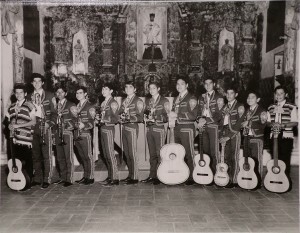 An early version of Mariachi Los Changuitos Feos – Tucson and America’s first youth mariachi. 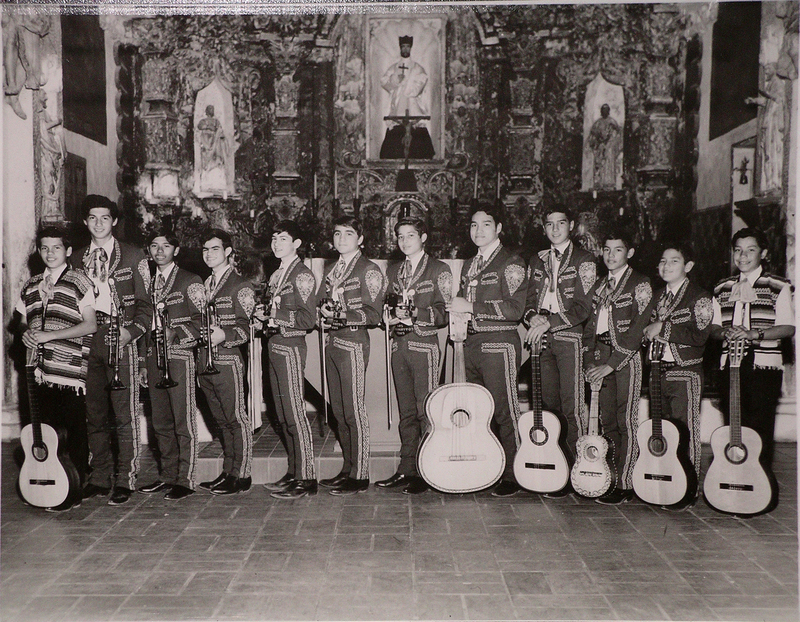 Tucson’s Mariachi Los Changuitos Feos, which celebrates 50 years in 2014, was America’s first and arguably most influential youth mariachi. It spawned the internationally renowned Mariachi Cobre, launched the career of college mariachi educator Dr. Jeff Nevin, and started the practice of charging for performances, investing that money and using it to provide its graduates with college scholarships. Started in 1981, the Tucson International Mariachi Conference is the longest continuously running conference of its type in the world, and the model for similar gatherings in the U.S. and Mexico. 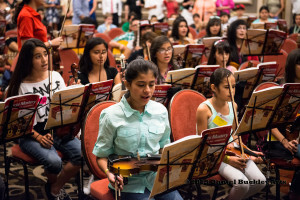 But it is the way mariachi and folklórico dance programs in Tucson’s schools have changed education for Mexican Americans in Tucson that is most impressive. Such programs have significantly bolstered cultural and community pride, lowered dropout rates and absenteeism, contributed to gang abatement and led to increased graduation rates and numbers of students going on to college. Steer us toward folks who have stories and photos from Tucson’s mariachi and folklórico scene. Help us make this next chapter of Cine Plaza at the Fox the best yet! COPIES OF THE DOCUMENTARIES ARE AVAILABLE FOR SALE ON DVD. Disc one, from 2010, features the first 3 Cine Plaza at the Fox documentaries (on the Cine Plaza, Barrio Anita and urban renewal). Copies of the 2010 disc are $25 post paid. The 2011 disc features the Barrio Hollywood documentary. It is $15 postpaid. “Tucson’s Heart and Soul: El Casino Ballroom” is available for $25 postpaid. Contact Daniel Buckley at dbtucson@gmail.com for more information. Special thanks to everyone who has been interviewed in all of the chapters of the Cine Plaza at the Fox series. Without you, there is no story. Hola, we are interested in the documentary showing at the Fox. When is the series around El Casino Ballroom playing? I thought we heard April 10th but can’t find any info on the blog or website. I have only been to the ECB once for a Quince, no real stories. Yet. 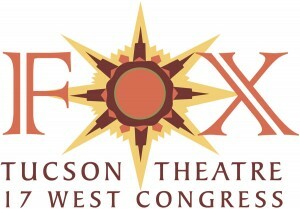 June 10 is the date for the El Casino documentary to premiere at the Fox Theatre. We’ll keep you posted. And if in the meantime you have friends with stories, send them my way.